Listen Money Matters - A free financial education at your fingertips. Free your inner financial badass. The no BS approach to your managing your money effectively. This is not your father's boring money show. You could listen to the usual suspects, or you could actually enjoy your commute to work. 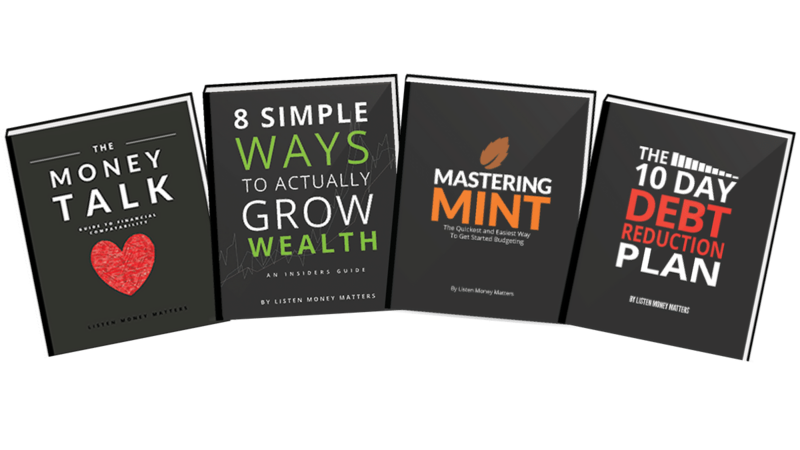 Choose one of our four paths to start building your money skills. How to make more money and grow your net worth. Put your money to work while you sleep. Get it together and start building lasting wealth. Pay off debt efficiently and rebuild your credit. Money Talk - How to handle money in a relationship. 8 Simple Ways to Actually Grow Wealth - Make more money today. Mastering Mint - Everything you need to start budgeting. 10 Day Debt Reduction Plan - Become debt free and financially secure. Not fully understanding credit and the risks that can come with it, you can put yourself in a bad situation. Your credit score doesn't need to be a mystery and past mistakes can be fixed. Relationships are hard. Add money to the picture and in many cases that’s a recipe for disaster. We'll teach you ways to detect problems before they happen and the best way to resolve them.